YouSendIt today announced a turning point in its existence — a rebrand of the company that it hopes will emphasize its transformation into a business that aids in not only passing of files, but collaboration, and sharing. Starting today, YouSendIt is now being known as Hightail. The renaming of the company isn’t exactly a surprise. After all, its CEO Brad Garlinghouse declared that it was happening at Bloomberg’s Next Big Thing conference last month. The impetus behind the move was to separate the company from the fact that it no longer is all about sending, but rather about collaboration. Working with the Siegel+Gale branding agency, the firm formerly known as YouSendIt spent a great deal of time working to find out what their brand stood for. We spoke with the company’s Chief Product Officer Matte Scheinker and its Chief Marketing Officer Mike Trigg about how things came to be. Hightail’s design team interviewed everyone who would have contact with the brand, including end users, employees, industry analysts, board members, and more. From their discussions, the name Hightail came about. Trigg says that Hightail emotes speed and agility — terms that the company wants to be associated with. They tested at least a half-dozen names with Hightail being ultimately selected. One of the things people may quickly pick up on is the fact that the company’s name doesn’t have any connotations to a storage device, similar to Dropbox or Box. Hightail says that its name is designed to contrast from other players in the space and be more active sounding — showing that it’s out there eager to help instead of lying there waiting for someone to use it. And for you design types, you might find this noteworthy, the red line at the top of the logo is meant to symbolize the beginning of a command line prompt. The white space below it and above the “H” forms a “T”, thereby creating the company’s “mark”. Hightail didn’t use a customized font in its rebrand — Schienker says that the logo was hand drawn. With the rebranding comes a redesign of all of its digital properties, including website and mobile applications. With respect to the website, not only has the public-facing design been updated to be, as Schienker describes it as “beautiful, clear, and modern”, but the recipient pages, those screens where users can view what’s being sent to them, have also been updated. Scheinker says that since Hightail’s users are mostly creative professionals, one of the things that they’ve requested is the ability to have a better preview of what file they’re sent. So when a link is passed along, users can click or tap on it and the page will display some details about the file, along with a large preview. Not everything will be updated at once. 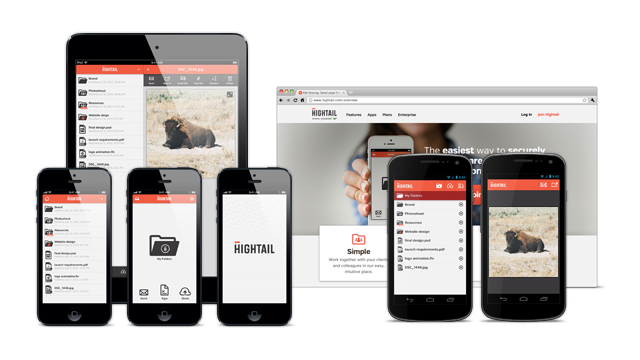 Hightail says that the redesigned experience will roll out over the coming weeks. The launch of Hightail is more than simply a new name. It signifies the beginning of a new company with new products and a new way of thinking. 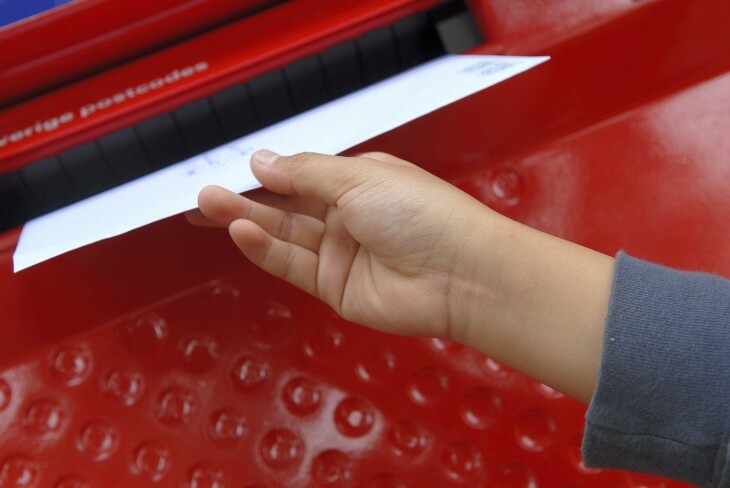 We have already far outgrown our original use case of only sending large files, and our name should reflect where we are as a company today as well as where we want it to go in the future. When we first heard the name, it was certainly a bit difficult to hear the connection between what we typically knew about the former YouSendIt and where the company wanted to go. Most likely it will take at least a couple times hearing the name to associate it with file sharing and collaboration. The company’s rebrand comes just a day after competitor Dropbox announced its developer platform and integration with Mailbox, a company it acquired earlier this year. Hightail tells us that it has 43 million users, with many in the design and creative professionals, spread out across 193 countries. It says that those users who are dealing with large files look to the service to help collaborate with their co-workers and clients. The company counts people within 98 percent of the Fortune 500 listed firms as its users. It has raised $49 million in venture funding to date.